The gorgeous makeup at the Victoria's Secret Show. So natural and glowy, love it! Click on the picture to get a how-to for this look, courtesy of Bella Sugar. Lily Aldridge has the best hair ever. No doubt about it! Tip: Apply this to slightly damp skin and leave on for 10-15 minutes. My skin is always so smooth and clear after use! Be daring and experiment with dark, metallic nail polish. This daily moisturiser is great. It's so light you can easily wear it under your makeup, and with it's SPF 30 and UVA/UVB protection, it's fantastic for keeping sun damage from happening. Tip: This is small enough to carry in your handbag, so no excuses, reapply often. 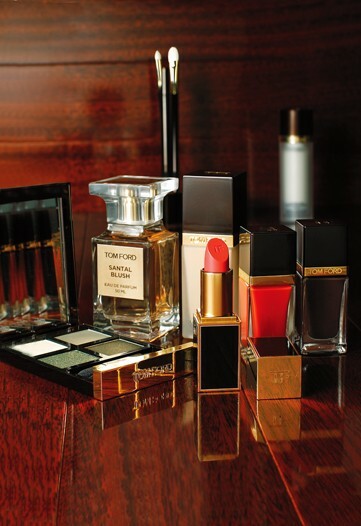 The entire Tom Ford Collection. Bold statement: nobody does luxury like Tom Ford. Another Day, Another Primped Posse Post! My Primped Posse Blog Is Finally Here! Want to be notified of the latest The Beauty Blot updates? Enter your email address to follow this blog and receive notifications of new posts by email.